The adventure continues when Abby and Derick begin their second semester at Cragbridge Hall, the most prestigious secondary school in the world. The year is 2074, and Abby and Derick are busy designing their own virtual worlds and learning to control new robot animal avatars, but when their Grandpa Cragbridge admits them into the Council of the Keys—a secret group of people who have keys to travel back in time—strange things begin to happen. One by one, members of the council are found unconscious and unable to wake, their keys stolen. Now Abby, Derick, mand their friends must scramble to figure out who is behind the attacks before they become the next victims, which would give their enemy the power to change the past—and forever alter the present and future. 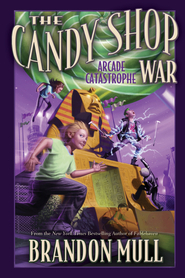 "A fantastical futuristic read that should engage kids and families." "A perfect blend of mystery, humor, and time travel. I want to go to Cragbridge Hall." 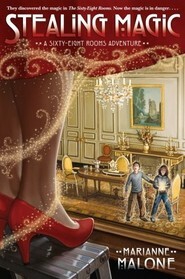 "A book that is similar enough to the Harry Potter story that it feels like a welcome home....A fun, inventive read." This series is so WONDERFULLY WONDERFUL! Fast-paced action! Intriguing inventions! Friendships! Courage! It's all in there! Abby, Derick, Carol, and Rafa are attending the most amazing school in the whole world! They get to first-hand witness history by traveling back in time. But this is not just a history lesson...this is a full-out fight to protect history...even if it means bad things must repeat themselves. There are only a few members of the elite Council of Keys and now someone is attacking them and taking their keys to gain control of 'the bridge' between our time and the past. They will be given tests of 'choice and consequence' and will be asked to do hard things. This second book is just as engaging as the first! I read The Avatar Battle: Cragbridge Hall Book two in less than 24 hours. How does it compare to the fabulous first book The Inventor’s Secret? 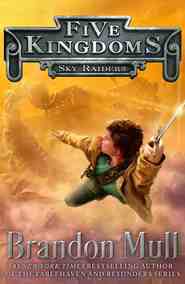 The second book is just as engaging as the first book in this middle grade fantasy series. This series has some of my favorite elements in a story: humor, memorable characters, and time travel. Once again we enter the world of Cragbridge Hall where the brightest students in the year 2074 attend secondary school. Here they learn how to design their own virtual worlds and control robot animals. This is also where Grandpa Cragbridge is fighting to protect his school, and the world, from the evil Charles Muns who wants the keys to control time travel where he can change history to suit his means. I love the adventure found in the books. The twins, Abby and Derek, also learn so much about themselves. They learn so many life lessons as they help their grandfather battle Muns. Some of the powerful messages readers will gain from this book are believing in yourself and doing hard things, realizing that with every choice you make comes great consequences, and that there are important lessons to be learned from studying about history. As a teacher I’m reminded of how much I’d love to work at a school like this one. What amazing technology happens at Cragbridge Hall! 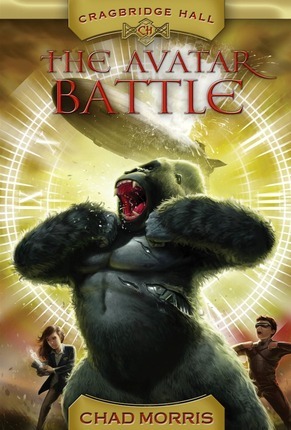 Author Chad Morris’s writing style is fun, moving and there is never a dull moment in The Avatar Battle. The story is a good read for anyone from 8 years old and up. Adults will enjoy this story/series as much as the tweens and teens. There are some fantastic surprises found in the last ¼ of the book. What a great way to write an exciting finish to this book. Now all that’s left to wonder is how long do we wait until book three comes out? This sequel stands up to the first book. I did not put the book down once I started reading it. It is full of imagination, fun history facts, heroes, fun inventions, battles. It is full of adventure, and a clean read. The plot starts out with second semester starting at Cragbridge Hall. A school for genius. Abby's grades are not good. Some don't think she should be in the school at all. That she got in just because her Grandfather pulled strings. Muns sends message to the four teens that helped defeat is plan to change history last time to stay out of his way. He is determined to change history in big ways. To do that he needs to get two keys. They can watch history at Cragbridge Hall from any angle or point of time. It would be fun to watch some history like that and would make me want to learn more. Abby & Derick's are in danger even while they are at school. But they don't want to stay back and do nothing to help stop Muns. While Abby is at the bottom of the class the same can't be said for her twin Derick. He is super smart, and most things come easy for him. Derick wants to be in the special avatar group after school and tries out for it. Besides learning about history, exploring your world it also had some good lessons being taught. I would definitely read more books in the Crabridge Hall series in the future. I was given this ebook to read for purpose of giving a honest review of it. I think I liked it more than I liked the first one! 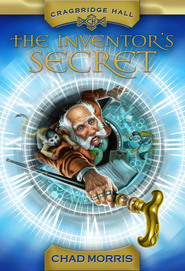 I loved the first book in the series, The Inventor's Secret, and was really excited for book two. My boys (12 and 10) have been asking me for months when this book would be out. Well, it's out, and it did not disappoint! I may have even liked it more than I liked the first one. The characters are so fun. They are believable and realistic. I like Abby and Derick. I like that they have flaws but they never give up. They keep trying. I love the humor that Carol brings. She'd get annoying if she were a roommate, but she adds a bit of fun to the book. Rafa adds a little mystery, and I liked finding out more about him in this book. I love the gadgets and machines in this book, especially the build-your-own-world bit. It is so creative and fun. I love the way Grandpa Cragbridge makes them dig for their answers, and I love how it brings history to life. There are so many great lessons in this book. My 12 year-old read it in less than two days, and he loved it as well. There is a surprise twist at the end that he did not see coming, and it was fun to see him excited by it. There is no language or "intimacy." There is some violence; a few characters are injured, and it may be scary for some younger readers. This would make a great read-aloud. I recommend it for third grade and up. 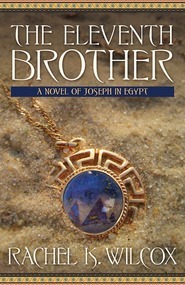 You may read my full review on my book blog: www.the-readathon.blogspot.com. I absolutely LOVED the first book in this series and was excited to see that book 2 was out! Abby and Derick are involved in another mystery and have a new secret to uncover. Abby's former roommate and nemesis, Jacqueline, is still giving her a hard time. Jacqueline feels that Abby doesn't deserve to be at Cragbridge Hall and doesn't hide how she feels. To make matters worse, Abby's grades are actually low and she needs to figure out how to bring them up so she can stay. Derick loves the avatars and he tries out for an exclusive avatar club that his friend Rafa is part of. Rafa was secretive and made me wonder what he was up to. I kept thinking he had to be one of the good guys and we find out which side he's on towards the end. Abby's friend, Carol, is still one of my absolute favorite characters. She enjoys flirting with Derick and embarrassing him any chance she gets. Carol is a good friend to Abby and adds comic relief to tense situations. We meet some new teachers and it was fun to try to figure out what was going on. There are more twists and turns and Grandpa Cragbridge's nemesis, Muns, is back and is now in direct contact with Abby and Derick. History plays another big role and again, I loved the way history was tied in and made interesting. He reiterates the lessons we are able to learn from tragedies and how, even though we don't want them to occur, some lives are changed for the better because of them. This series is a huge hit with me and my kids. Again, it doesn't end on a cliffhanger but it definitely leaves us all wanting more!